After hot and humid Saigon, Mitch and I were ready to head to the hills of Dalat, a hill-station town created by the French during their colonial rule as an escape from the heat humidity of Saigon. It’s also a hot spot for Vietnamese honeymooners and family vacationers. 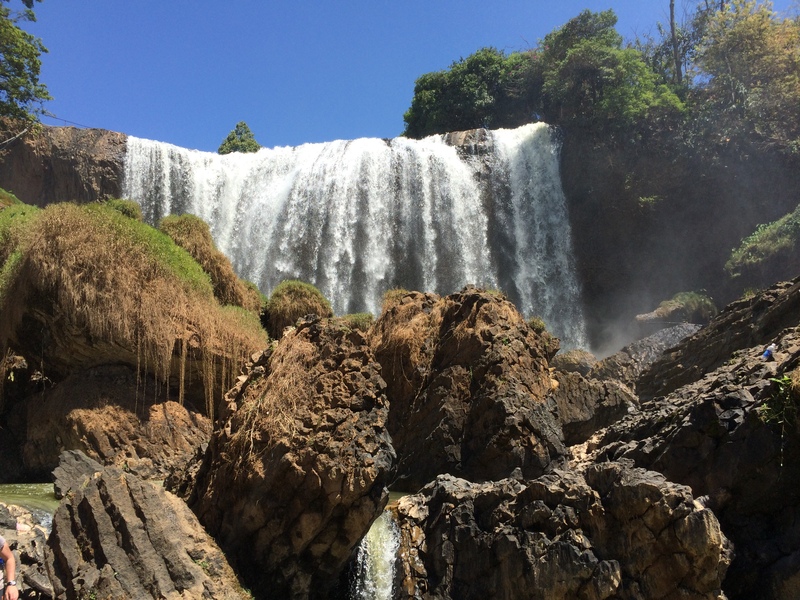 We didn’t spend too much time in Dalat, but with what time we did have, we enjoyed. One day, we rented a motorbike and drove ourselves to Elephant Falls. The second day, we headed to the hills to check out the surrounding views. Making Connections Around the World! 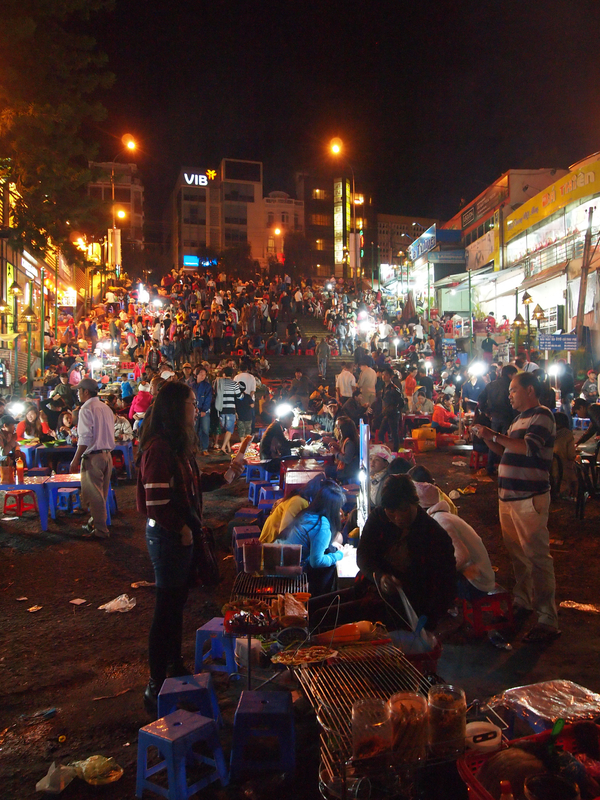 Something interesting and special did happen while in Dalat. Mitch and I wanted to visit a local dessert cafe, Che He, that was once run by our close family friend’s mother. I asked a few people if they’d heard of it, but no one had and I sort of gave up trying. 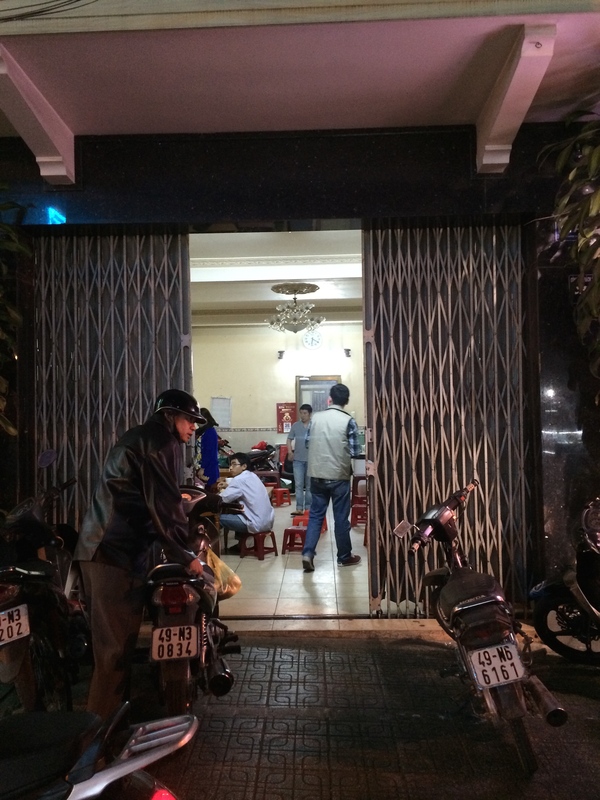 On our last night in town, our homestay host, Binh, kindly took us out to dinner. 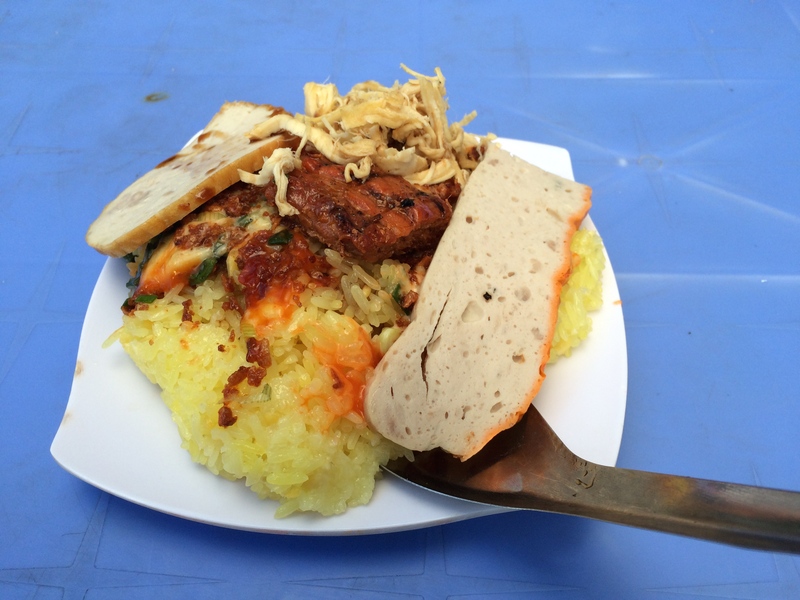 We had our first xoi (sticky rice with chicken, sausage, onions, etc. ), and it was fantastic! Growing up, xoi was one of my favorite dishes. My grandma would make it and package it in ziplock bags for us when we went camping. 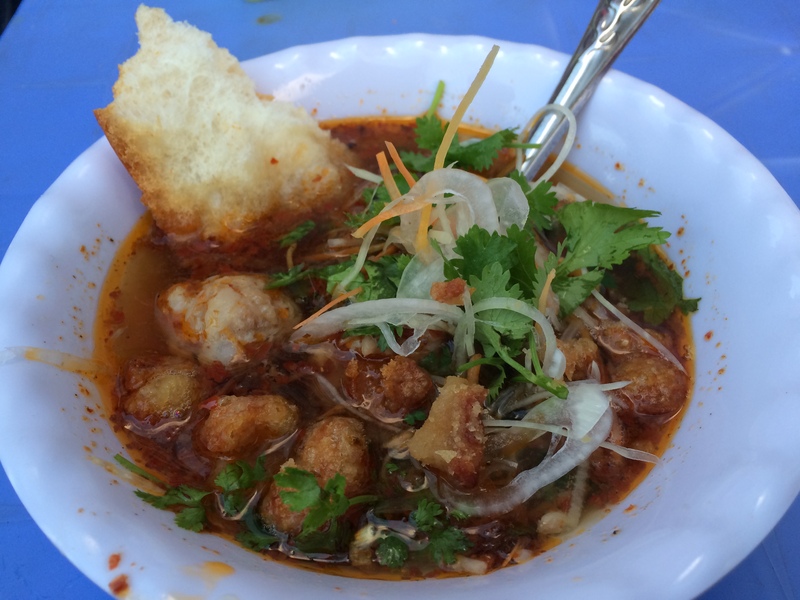 Beef soup/stew: also incredibly delicious! After our lovely dinner with Binh, he told us he wanted to show us a really popular, locals-only dessert spot, and we started walking there. On the way, I casually mentioned that I had tried looking for Che He but to no avail. Binh actually stopped in his tracks, “That’s where I’m taking you!” What a coincidence! Che He: Closed Door Cafe! 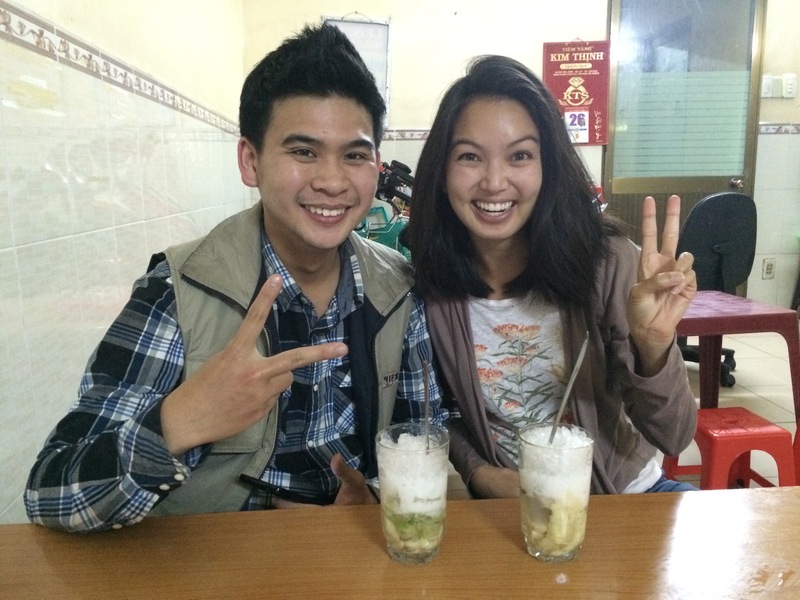 Our host Binh and me enjoying dessert at Che He! It was very special to make a connection like this across the world and a perfect way to end our stay in Dalat. I enjoy your blogs, Tanya, especially this one! I’m surprised you even know about the “Che He”. Those are my cousins, and my mom is their aunt. My mom and their mom are sisters. Yes, I always wanted to go back to visit but haven’t got a chance or the money (aha!). That house is the very house I was born and raised in, so so so much memories! I left that house almost three decades ago… hic hic hic. Miss it very much. Thank you for sharing the pictures!